The rand was stable in early trade on Monday morning, after ratings agency Moody's skipped issuing a rating review of SA's sovereign debt on Friday night. This means the country's credit rating remained unchanged at Baa3, the last rung of investment grade, with a stable outlook. If Moody's had downgraded SA to sub-investment grade, the country would have been ejected from the Citi World Government Bond Index, forcing asset managers to sell billions of rands' worth of SA bonds. 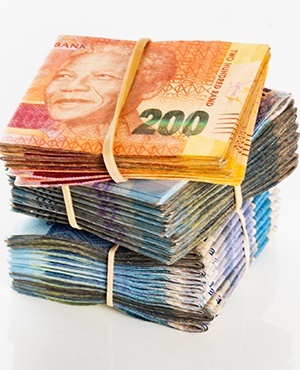 "The rand is demonstrating some of the market’s relief following no action by Moody's last week, with it clawing back some ground during the overnight trade on Sunday," said Bianca Botes of Peregrine Treasury Solutions in a morning note. "No news is good news". "We face a busy data day today with manufacturing PMI, CPI and unemployment due from the European Union, and local vehicle sales as well as retail sales from the US later in the day," she said. Lukman Otunuga, a research analyst at FXTM, said the move by Moody's to not update SA's rating was a net positive for the local currency. "This move offer[s] more time for the country to stabilise before the next rating some time in November." Andre Botha, a senior dealer at TreasuryONE, said in a morning note that traders would be be keeping a close watch on SA's fellow emerginng-market member Turkey. As Bloomberg earlier reported, the Turkish lira fell in early trade on Monday after President Recep Tayyip Erdogan’s ruling party looked set to lose control of key cities in a vote on Sunday. "There seems to be some positive emerging market sentiment and this could see the rand drifting lower and a test of the R14.20 level. However, we have seen Turkey causing some concern in the EM space"
"As we awaiting results during the day it could feed into the rand market, and headline risks are very much in play."